Please join us for our Seventh Annual Showcase! 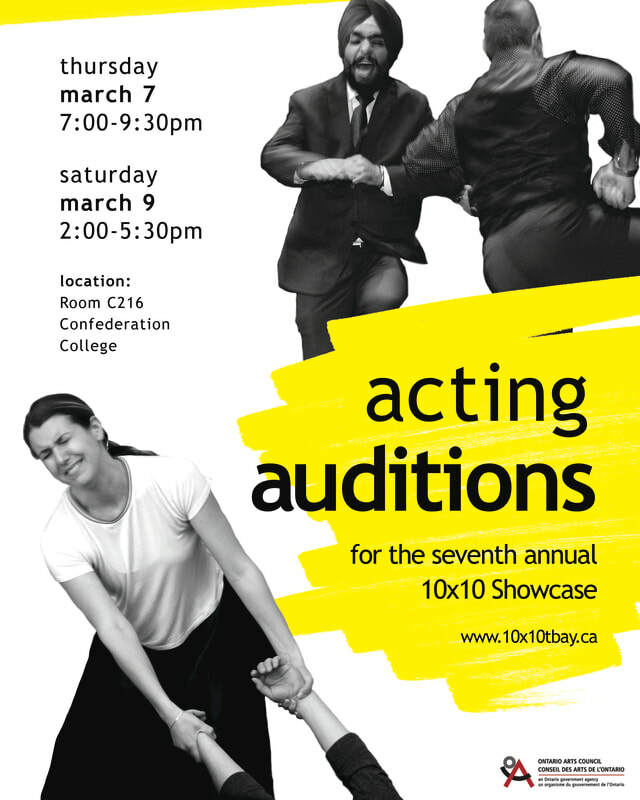 Come out and audition for this year's 10 selected plays. **This year, we are looking for a large number of mature actors (9 female, 9 male over 40) in addition to actors ages 18 to 40. You are welcome to bring your own prepared piece of 1-2 min. Cold readings will also be available. April 10 & 11 – Technical Rehearsals (Magnus) Each play will have a timed slot on stage for a technical run-through either April 10 or 11 – please keep both days open.